All used bikes available for sale at Haywards Girton Garage, including "all-makes" trade-ins, are list on our searchable ​General Stock List, hosted by Autotrader. This stock list includes brand new, 'fast track' machines currently in stock, ready for the road within 2 working days. Stock levels changes daily - please call before travelling to avoid disappointment. Low rate finance is available on most machines over £2000 (subject to status). 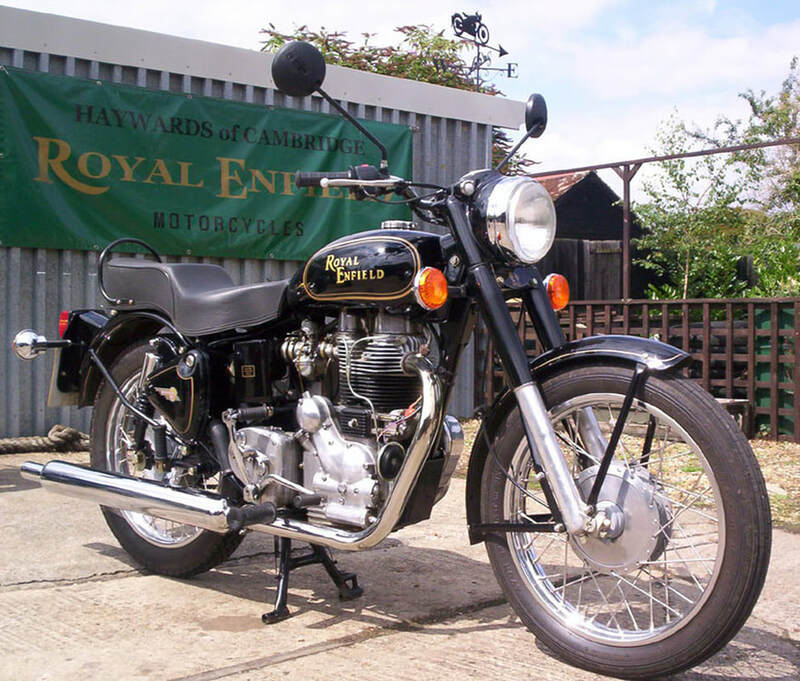 Pre-owned, UK specification Royal Enfield Bullet Classic, Clubman, Sportsman and Trail bike and EFI models, 350cc/500cc. For Private Buyers and Collectors within the UK and overseas.